It is Bagalicious Club time again. This time it is a bag by Melanie & Me and again the fabrics are just lovely. Not sure how I will go on this one as there are gathers and pleats but I will give it go. 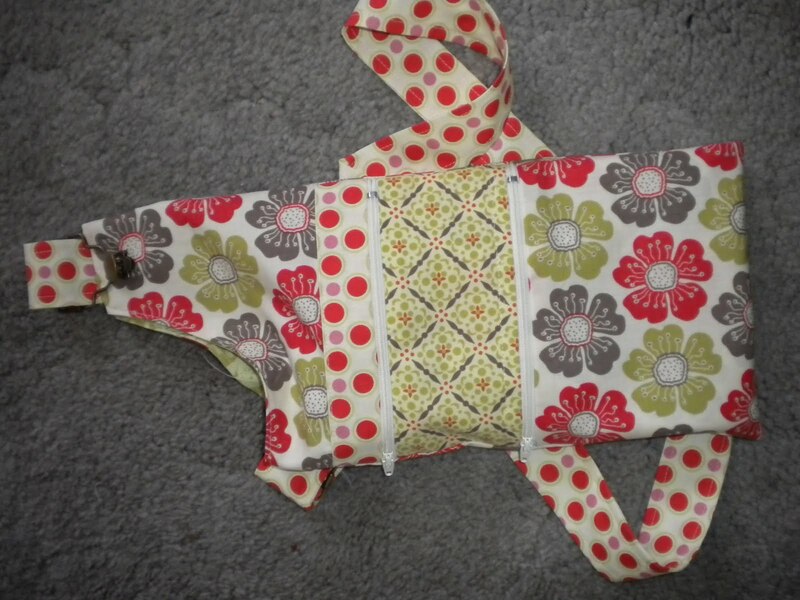 I have finally sewn on the handles for Just Darling one of the patterns I got from Inspired Stitches. 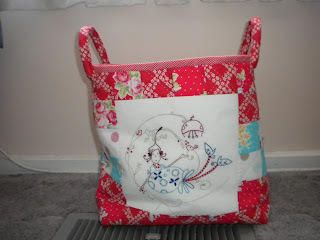 It is designed by Natlalie Lymer of Cinderberry Stitches. Natalie is one of my favourite designers if you couldn't tell. 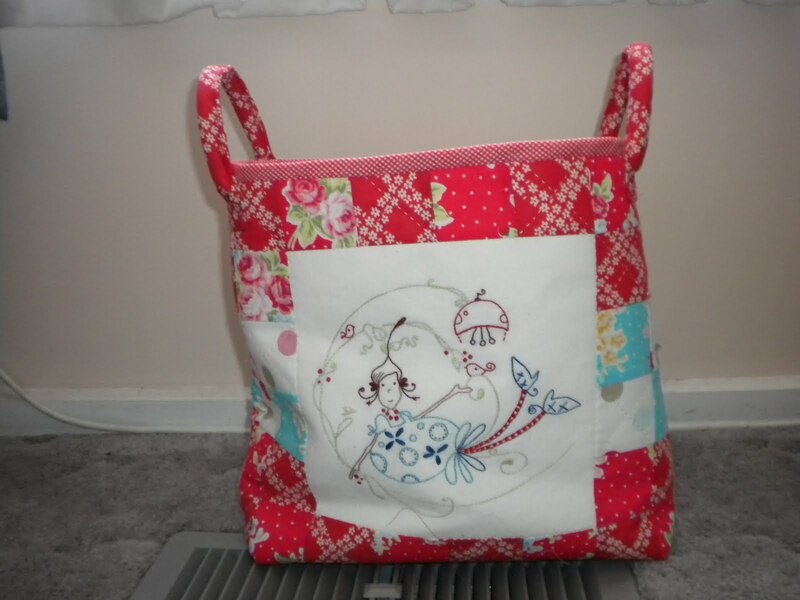 I have also made this bag which is a Hugs n Kisses design. 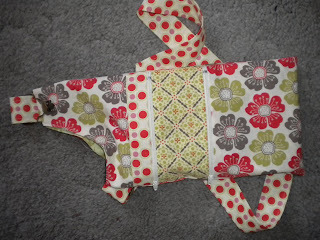 It was so easy to make just need someone with some muscle to get the buttons in a bit tighter. Off to the weights room for me. 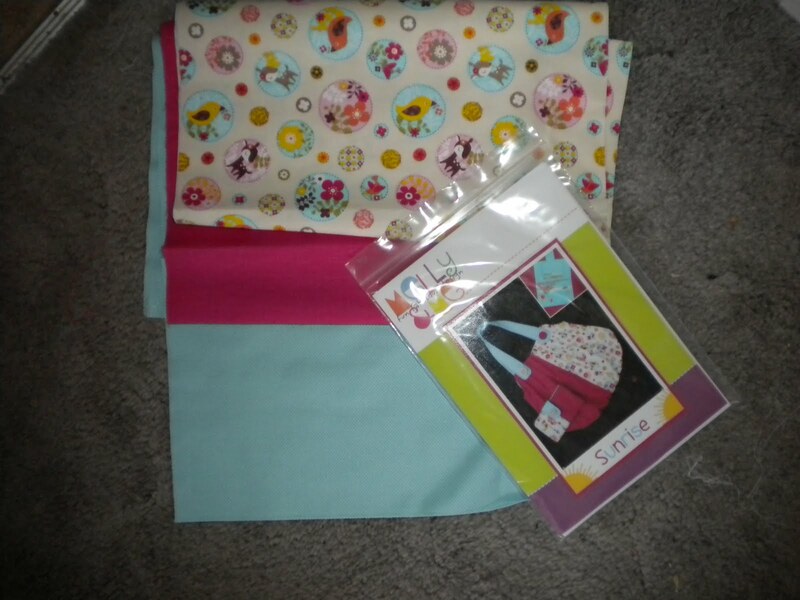 I have used Meadowsweet 2 fabric range which is just beautiful. Lastly today is my clock which is designed by Natalie Ross in Stitches another of my favourite designers. I just love it. I need to get a cord so I can hang it up. 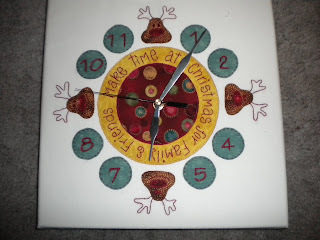 Wow you have been busy... just LOVE the bags.. and the clock - just beautiful. (Where did you get the clock handles from).